Hi guys! I hope you all had a great weekend! I spent the entire time completely reorganizing my polish collection, and it was quite an undertaking. I finished getting the polishes back in my helmers, but I still need to update my spreadsheet to reflect where the polishes are now located (and mark that on my swatch sticks as well). So, I've got a couple more weekends of work left ahead! But it's so much fun to play in my polishes! I want to share another great custom polish from the Gee I Love Ellagee! Facebook group - ELL-sa! 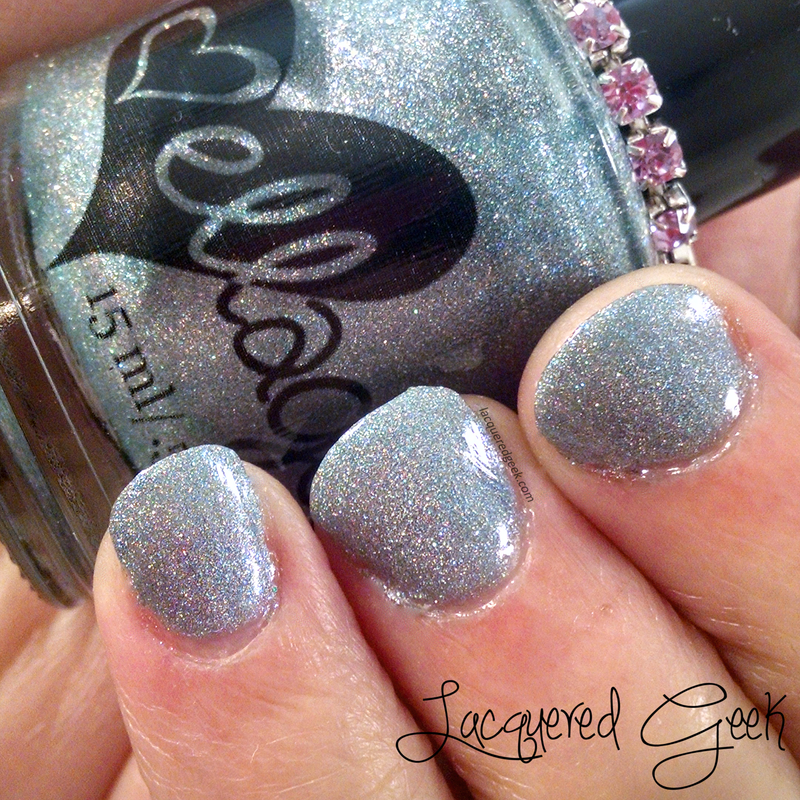 ELL-sa is a gorgeous ice blue holo with a delicate blue shimmer and silver microglitter. I love the delicate, wintery feel of this polish! The formula was just great - thin enough to be easy to work with, but not too thin. I used 2 coats with a top coat for these photos. Laura from ellagee makes amazing polishes, and the ones that she has made for the Gee I Love Ellagee are just gorgeous! Group members help pick the color and finish, as well as the name! It's definitely a perk of the group! If you haven't checked out the group, I recommend it!